Is Tumblr's Music Policy a Concern? According to Tumblr’s About page, there are more than 104 billion posts on the microblogging website. To say that this is an accomplishment would be an understatement, not just for social media platforms but platforms on the Internet in general. Amongst those many posts include music, which has become something of a concern for Tumblr users in recent days. At least, it’s become a concern for those who have learned about a policy that, until recently, hasn’t exactly been touched upon. Tumblr Music Policy a Concern? As of late, Tumblr has taken it upon itself to focus on posts which feature copyrighted music. Basically, those who regularly post music have been given notice of a three-strikes rule. What this means is that if they break this policy a total of three times, not only will their posts be removed but their accounts will be terminated, which is only made worse by the fact that those people won’t be able to create newer accounts. What makes this policy even more concerning, on the surface, is that Tumblr does not seem to differentiate between posts made recently and those which have been made a year or so ago. To better illustrate this, if Tumblr looks into an account’s posting history and sees, at least, three instances of copyrighted music – regardless of the time span between those posts – that very account will be closed. As a result, it wouldn’t be unfathomable that many Tumblr users would like to clear their posting histories to decrease their levels of risk. This is an unfortunate circumstance, to put it mildly, especially since there are multiple social media users who post music without knowing about the consequences for every platform. Look at a website like YouTube, for example, which features a litany of videos, each of them with their own copyright-related concerns. If you’ve stumbled upon a video that lacks audio, chances are that action was taken by the DMCA. Very rarely are those videos taken down, or the accounts suspended, unless there is simply too much copyrighted content for them to remain on YouTube. 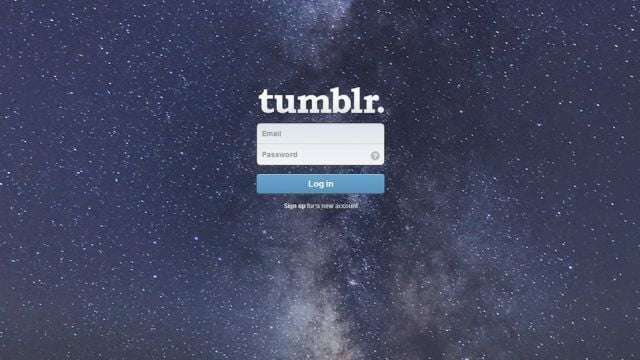 The idea that Tumblr users can lose their accounts for posting music, though, has stirred conversation amongst users on that very website. In fact, speaking as a frequent Tumblr user myself, I’ve seen a number of alternative websites listed in case this music policy becomes too invasive. Soup.io is a great example, not only because of its basic design but the idea of reblogging that is relatively simple to Tumblr. Not only does it make sense, as an alternative platform, but it wouldn’t be terribly daunting to get acclimated. Of course, it’s been said that this website can be used in the worst case scenario, so Tumblr should not yet be written off by any individual or online marketing firm. What is your take on this Tumblr music policy? Do you feel like it’s the right thing to do, or do you think that Tumblr’s users are right to be concerned? Please leave any thoughts you have down below!